Ardence Labs is a lakefront shopping and dining complex in Eco Ardence, Setia Alam. The shops here are built inside shipping containers. 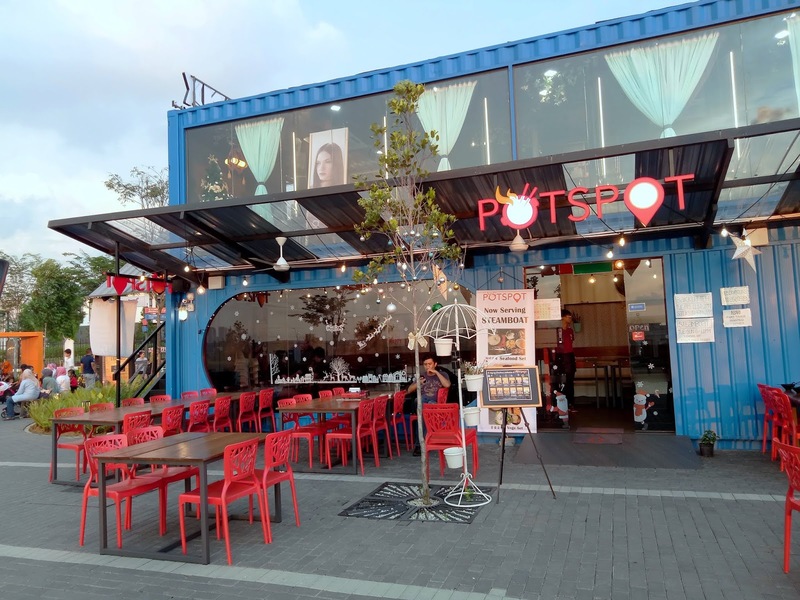 One of these shops is Potspot, a restaurant that serves bak kut teh (肉骨茶) for lunch and steamboat for dinner. 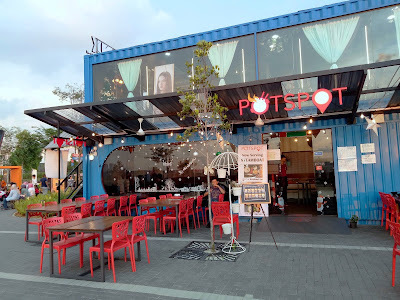 Potspot has air conditioning, but outdoor dining is also a good idea after sunset. The Meat Set (肉类套餐, RM39.80) is meant for 1 or 2 persons. Customers have a choice of soup: fish bone soup (鱼骨汤), pork bone soup (猪骨汤), vegetarian soup (蔬菜汤) or tom yum soup (东炎汤). We opted for pork bone soup (猪骨汤). 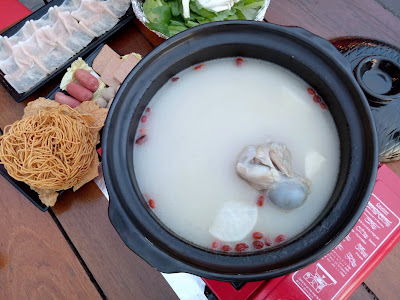 Besides having pork bones, the soup is also cooked with wolfberries (枸杞) and white radishes. 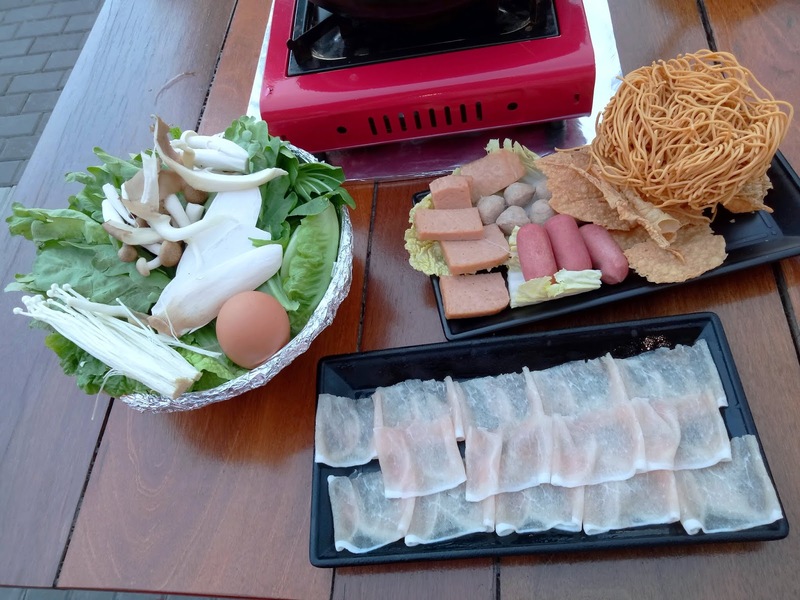 The set meal comes with raw ingredients like pork slices (肉眼片), pork meatballs (猪肉丸), luncheon meat (午餐肉), cheese hot dogs (芝士热狗), vegetables and mushrooms. Yee mee (伊面), tofu skin (腐竹) and egg are provided too. 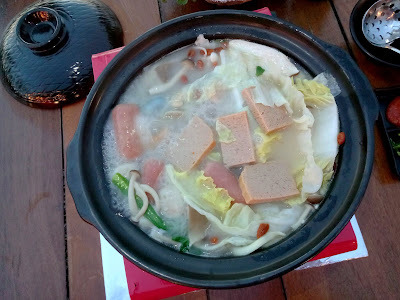 To truly enjoy steamboat, add some vegetables as soon as the soup starts boiling. This allows the soup to be infused with natural sweetness. Next, add meatballs and sausages as they need longer time to be cooked. Pork slices only need to be blanched very briefly. 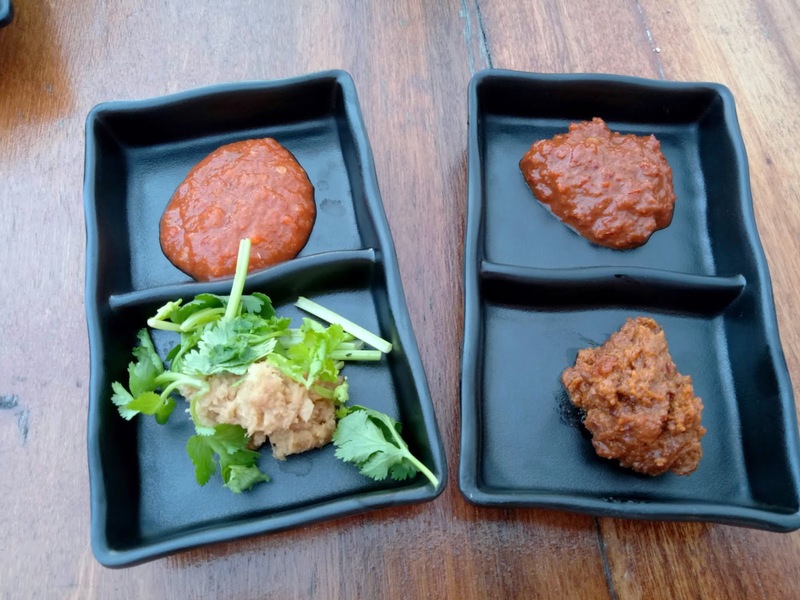 Diners can help themselves with a variety of condiments such as sambal belacan (spicy shrimp paste), hot sauce, sweet sauce, minced ginger, coriander and more. Unfortunately, the sauces do not appeal to my palate. I feel that they lack the "fresh" taste and aroma. It is nice to grab a cool bottle of Tsingtao Beer (青岛啤酒, RM14.80) while having steamboat. 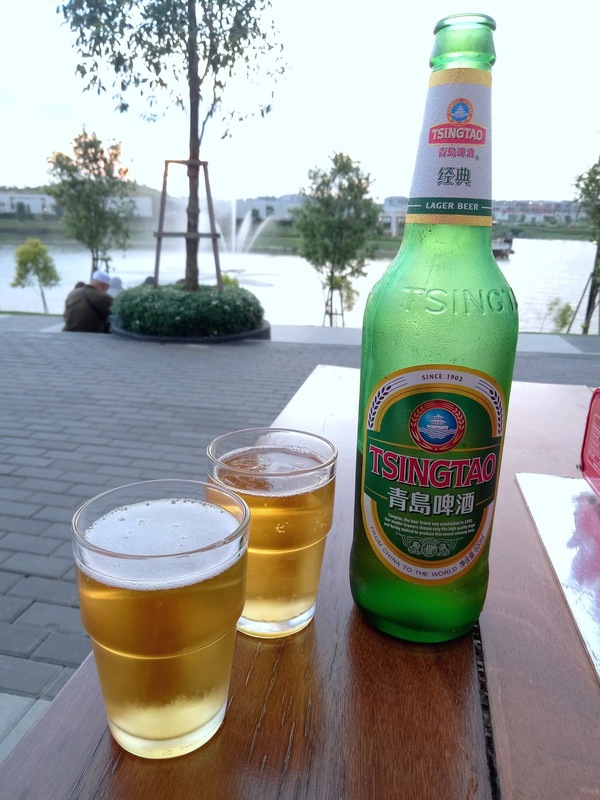 The enjoyment is amplified by the scenic view of an artificial lake in front of us. 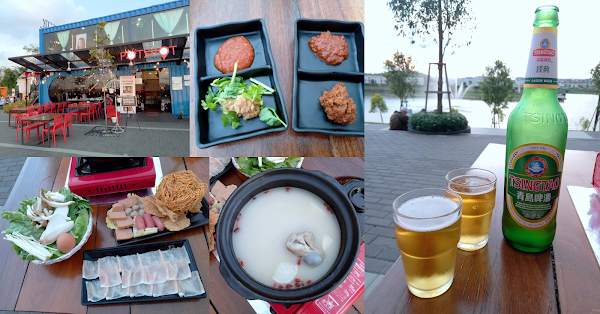 In summary, the pork bone soup is quite tasty as it is rich in pork savoriness. However, there is room for improvement in terms of condiments. Of course, the lovely view here is certainly a big plus.